The feeling that a tutorial on this already exists is even stronger than the thread I did about making updaters, god. -Is there another method to make maps instead of the slow life-sucking way of the manual heightmaps? -How can I make a map with multiple terrain textures very easily? -How can I make a map with terrain detail easily? -Can I make a map that looks more realistic? -What is the point of you making all of these tutorials when you could be doing other things with your life? If you've asked any of these questions, congratulations - you're here. Note: You will still have to manually place objects/particles/billboards, etc, in the map, this is for terrain design/texturing/shading. There are other terrain sculpting programs for OGRE but I prefer this. I already assume that you know basics of map making. Load the installer and ignore the terms and conditions like you usually would do. This will appear and confuse you for about 10 minutes maximum. Leave everything as it is and press OK.
You will find a ToolBox and Detail and Palette box on the screen somewhere. Select any texture. I chose the long grass. Huzzah, your terrain is now green. Zoom in and out on the mouse wheel to..zoom in and out on the terrain and use the right mouse to look around. Terraform is the terrain sculpting options. You can raise the terrain up and down, lower, level, grab, smooth and more. Mess with the Radius and Strength, then drag your mouse along the terrain. Looks crap so far doesn't it? Choose another texture (in my case rock) and more textures in 3 and 4 if you want. 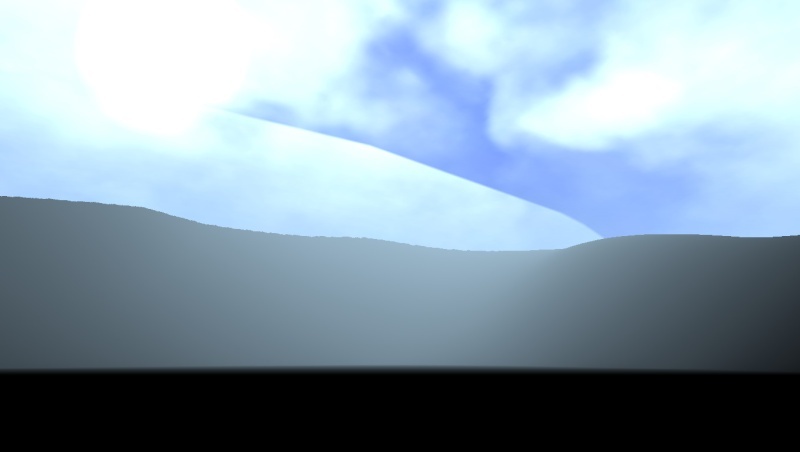 Now drag along the terrain and you'll see it will texture the landscape. I'm rushing this tutorial as I can't be bothered right now to make a decent map but you get the gist. You can make something better than my half-assed map I'm sure of it. Essentially those colours were the detail textures. You can use any of those to colour/texture your map more, or you can 'release texture' and then 'set texture' and choose another texture from the file. You can also find textures yourself on the internet, save it on your computer and browse for that texture instead. Once you have created something that doesn't look like it will offend the community of game designers like my map will, you can begin to export it. Save both the desktop or somewhere you will remember. Make sure you add TestAbomination to CustomWorlds.txt in your terrain folder. Copy your 2 exported files from EarthSculptor in there. Now in game type /goto TestAbomination in the chat box. And boom you should be there. You can of course alter the size and height of the map. And probably more but I'm lazy taking screenshots. Anyway, I hope that this has been helpful to you. Any questions or errors tell me in the comments. Oh looks good. Will have to give it a try. never wonder what a detail is going to look like after whipping a brush around in photoshop, you have the terrain to manipulate in real time. thank you to both of you for being so knowledgeable.